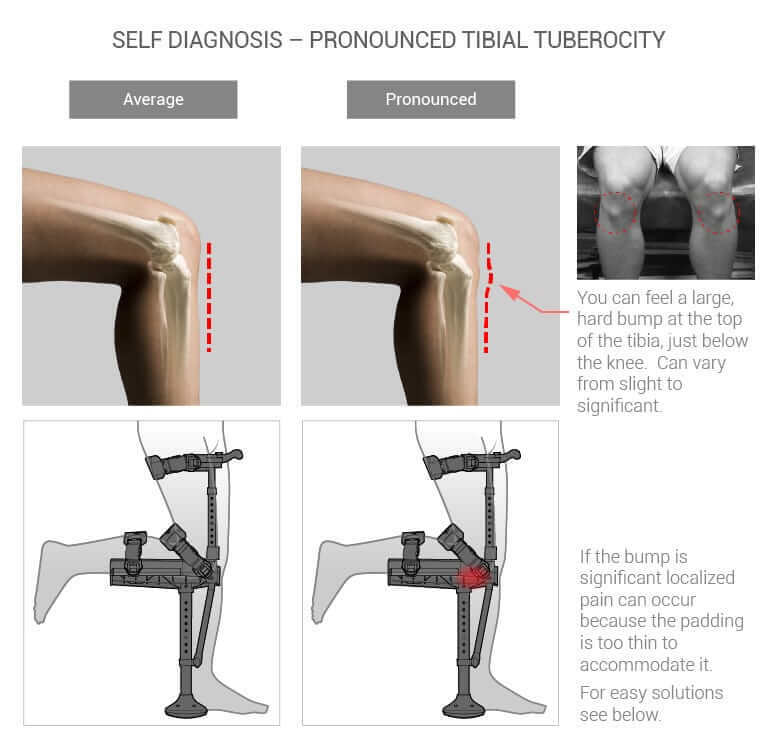 Will the iWALK2.0 fit me? That’s a good question. If you’re built like 95% of the human population, the answer is YES! But wait..it’s not quite that easy. IF YOUR HEIGHT IS IN THE YELLOW OR RED ZONES, THERE’S A 5% CHANCE THAT IWALK2.0 WILL NOT FIT YOU. 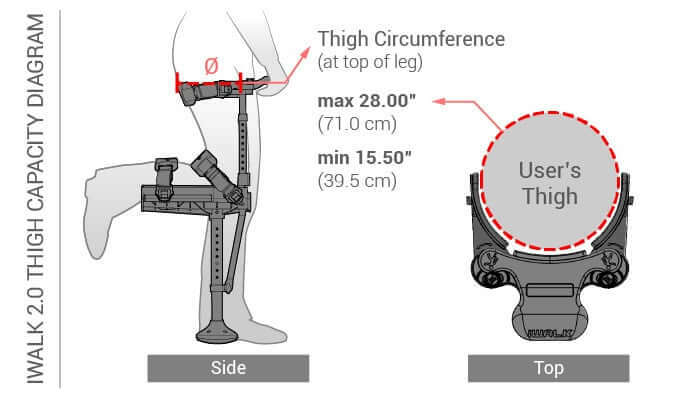 YOU NEED TO CONSULT THE USER’S LEG LENGTH CHART BELOW TO CONFIRM YOUR MEASUREMENTS ARE WITHIN THE SIZE RANGE OF IWALK2.0. MEASURE BOTH UPPER AND LOWER LEG AS SHOWN. IF YOU FALL WITHIN THE RANGES SHOWN, IWALK2.0 WILL FIT YOU, NO MATTER WHAT YOUR HEIGHT IS. The last sizing requirement is thigh circumference. Measure your thigh at the very top of the leg. If you weigh over 275 pounds (125 kg) or are significantly overweight, iWALK 2.0 is not a suitable option for you.